While using androids, there are some problems which can be really bothering. One of those problems is ‘Process System isn’t Responding’ and this problem is known to occur quite often on the android smartphones. This problem arises when you are trying to run some of the newly installed apps on your android smartphones. Now different fixes for this issue have been reported on the internet. Due to the uncertainty of one of them going to work, I decided to come up with all of them so that you can try any of them and fix the problem for yourself. So, without wasting anymore of your time, let us try to know how to fix process system isn’t responding on android. 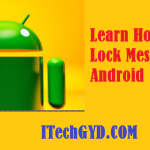 Rooting of an android smartphone is a process in which the user tries to unlock the factory settings of the phone to get every possible access to hardware and software of it. People also do this to get not recommended apps to run on their phone and also the apps which are not available for free. Well, to fix ‘Process System isn’t Responding’, you will need to undo the rooting of your phone. This is can be done very easily by following the steps given below. To undo the root of your phone, go the settings and there, go to the factory settings. Now restore the factory settings. Make sure that you clear all the cache after doing it. 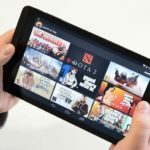 Now you will need to flash the stock rom of your device. 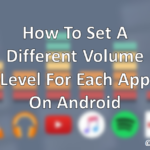 Remember that this can be done by using a software named Odin v 3.04 for the androids. Once you are done with this procedure, your problem may get resolved. One of the most common fixes for fixing any problems on the android devices is hard resetting of the phone. Whenever, people come across a problem which does not seem to fix, they simply reset their phone and most or 90% of the times it works since all the things get restored to their original place. Our problem ‘Process System isn’t Responding’ can also be fixed by trying this. Listed below are following steps on how to hard reset your phone. Turn off your phone in the first step. Then hold turn it on by holding the power button and volume up button. When the phone will start, it will take you to the recovery mode. There you can remove the complete cache and reset your phone. Restart your phone, install the apps, and see if it worked. If your phone has been okay for quite sometime but this problem of ‘Process System isn’t Responding’ arose recently then may be your phone needs to be restarted. Due to some inappropriate action running in the background, this problem can occur and that is why restarting the phone can also fix this problem. 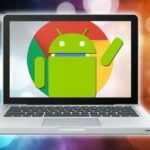 You need to see that after installing which particular app this problem arose on your phone and if that app is still running in the background, you can end its process. Also, fixing Google Play Store may help you with the issue. Try updating it. One thing of which people never think when they get this error that there could be some hardware problem which is causing this problem and most of the times it is your SD card. Well, sometimes it happens that due to a malfunctioned SD card, the apps that you store on a SD and then trying them from there may cause this problem. This problem arises especially on the SD cards with memory up to 32 GB or higher. Well, listed below are few suggestions which can be used to fix this problem if it is due to the SD card. Try moving all the apps to the internal memory and try running them from there and see if it is the problem. If there is not enough memory then try changing the SD card. Get a SD whose memory is less than 32 GB and see that if it fixed the issue. Maybe there are only few apps due to which we are facing this problem. Trying moving those app after installing which, this problem arose on your phone. This can get your problem fixed easily. So, this is it from today. I guess that this post was enough for you to find a method which is going to fix ‘Process System isn’t Responding’ on the android. Don’t forget to tell us if anyone of these fixes worked for you so that it might benefit other users. Keep visiting our website for more tips, tricks, and tech guides.